Interior Signage | Laminators Inc. Interior signage is the key to managing traffic, communicating messages and promoting your brand. 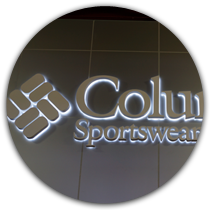 Make your logo the centerpiece of the room or create interior signs designed to be used in conjunction with ADA standards or the latest fire code requirements*. It can ensure your facility runs smoothly and productively by relaying important messages in a clear, professional looking way.